Day 3 - International Week 2019. 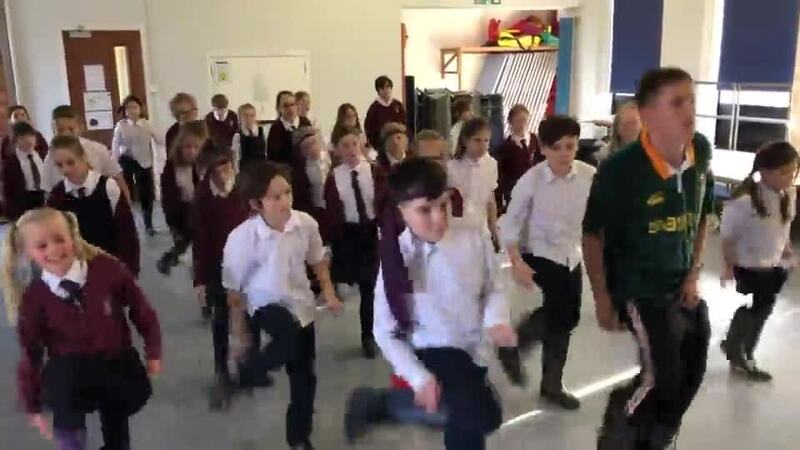 Check out the Gumboot Dance in Year 5! Very impressive. How could we learn a little more about the wider world? Why not through a story from another country? Madame Tate arranged for every class in school to be visited by a parent who was able to share a story from a country with which they have links. It was a brilliant experience for the children and each class enjoyed hearing their story. Thank you so much to all the parents who helped. Day 5 - International Day Has Arrived! Our photos tell our story (and there might be more pictures to follow once they've been uploaded). It has been an amazing International Week finale today. We would like to say a huge thank you to Madame Tate for all her organisation and facilitation; to the teachers for their hard work, determination and creativity; to the children for their active engagement and tireless enthusiasm and to everyone who contributed in any way. We couldn't have enjoyed such wide ranging travel experiences without you all. Have a lovely half term and enjoy a well earned rest after all your hard work and all the many travelling miles you have covered this week! Today's photos show a taste of the learning and activities in Year 2 so far this week. Preparations are complete and tomorrow we have our grand finale: International Day! See our News Blog for Day 3's International highlights! There has been a wide variety of learning and activities in school today; from the beginnings of information leaflets being created to the design of T-shirts using Aboriginal Art techniques. There was some sit down volley ball being played and also evidence of research involving fact finding about particular countries. I wonder what wonders will be found ready for our Day 3 update tomorrow!